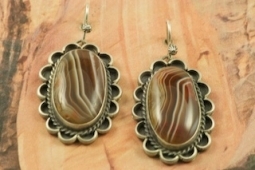 Genuine Lake Superior Agate set in Sterling Silver French Wire Earrings. Beautiful Antique Satin Finish. 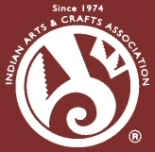 Created by Navajo Artist Martha Willeto. Signed by the Artist. The photo is of the jewelry you will be receiving. What you see is what you get! Earrings are 1 1/4" L x 7/8" W.